Oticon OPN Ria 2 - Excellent Entry Level Devices At The Best Prices! 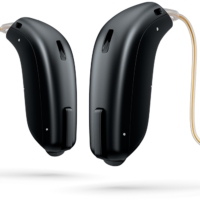 The Oticon OPN Ria 2 were released in 2015 and are Oticon’s excellent entry level devices. The Ria 2 are available in a huge number of styles, including invisible and in the canal devices to full powered behind the ear. The Ria 2 has FreeFocus and YouMatic which are two of Oticon’s Brainhearing technologies which reduce listening effort and help you hear in noisy environments. 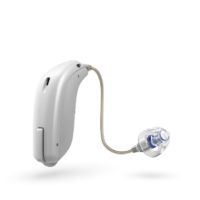 The Ria 2 TI have Soundsupport TI which provides relief for people who are suffering from tinnitus. 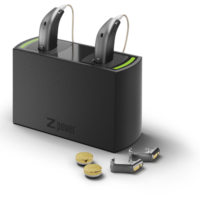 The RITE and BTE Ria 2 models contain directional microphones and automatically adjusts the setting based on your environment. The Ria 2 is compatible with Oticon’s Streamer Pro which lets you stream audio from your phone directly to your device and allows you to adjust the Ria 2 programs directly from your smart phone.